An important RNH project is ‘Europe of the Victims: Remembering Communism’, organised jointly with ACRE, The Alliance of Conservatives and Reformists in Europe (formerly AECR). The first event in this project was a lecture at the University of Iceland by Danish Professor Bent Jensen who spoke 27 February 2012 about Nordic communists and their relationship with Moscow. Dr. Gudni Th. Johannesson, president of the History Association, chaired the meeting. Next, RNH hosted a lecture at the University of Iceland Monday 10 September 2012, by Danish Professor Niels Erik Rosenfeldt, an internationally acknowledged expert on the communist movement, on the secret operations of Comintern (1919–1943). Professor Rosenfeldt recently published a carefully researched work in two volumes on Stalin’s secret power apparatus. Bjorn Bjarnason, former Minister of Justice, chaired the meeting. One of the most important events in this project was an international conference at the University of Iceland on Saturday 22 September 2012. Speakers were Professor Stéphane Courtois, the French editor of The Black Book of Communism and one of its main authors, Anna Funder, author of Stasiland, Dr. Roman Joch, adviser to the Czech Prime Minister, Professor Oystein Sorensen, Oslo University, Professor Hannes H. Gissurarson, University of Iceland, author of a recent book on Icelandic communists from 1918 to 1998, and Professor Thor Whitehead, University of Iceland, author of a recent book about Icelandic communists and their use of violence in the 1920s and 1930s. The meetings were chaired by television host Egill Helgason, and writers Jakob F. Asgeirsson and Ragnhildur Kolka. More information on the programme participants is available here. Professor Courtois appeared on a television show on current affairs which can be watched here, and Ms. Funder was interviewed in a weekly television programme on literature which can be watched here. One of the speakers at the conference, Professor Oystein Sorensen, also gave a talk 21 September 2012 at a meeting co-sponsored by RNH and Vardberg at the University of Iceland on ‘Anders Breivik’s Totalitarian Mindset’, discussing the notorious Norwegian mass killer. Bjorn Bjarnason, former Minister of Justice, chaired the meeting. Another conference speaker, Ms. Anna Funder, gave a talk 24 September at a meeting held by the Vigdis Finnbogadottir Institute of foreign languages at the University of Iceland on her new novel, All That I Am. The novel is about dissidents in Nazi Germany and their fates. Martin Regal, Professor of English, chaired the meeting. The sixth event in the project was a lecture 2 November 2012, in which Professor Hannes H. Gissurarson defended Jung Chang and Jon Halliday, authors of a best-selling biography of Chinese Communist Leader Mao, against harsh criticisms which have in Iceland been directed against their work by left-wing intellectuals. While the lecture formed a part of the RNH-AECR project, it was sponsored by the Confucius Institute at the University of Iceland whose director, Magnus Bjornsson, chaired the meeting. 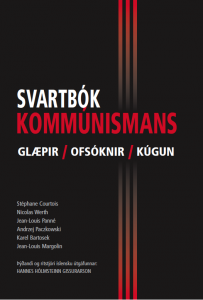 In 2011–12, Gissurarson also published papers responding to the critics of his 2011 history of Icelandic communism. 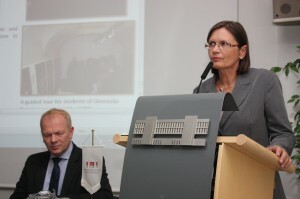 The seventh event in the project was the participation by Professor Hannes H. Gissurarson in a seminar in Warsaw 14–15 May 2013 on memories of genocide. The seminar was organised by the Platform of European Memory and Conscience, PEMC, in cooperation with the Warsaw Rising Museum, MPW, The Polish Institute of National Remembrance, IPN, and the Czech Institute for the study of totalitarian regimes, USTR. Oddsson honoured by Dr. Nutt 23 August 2013. Photo: Omar Oskarsson. This joint RNH-ACRE project continued on 23 August 2013 with an eighth event. This very day in 1939 Hitler and Stalin made the non-aggression pact which started the war in Europe, at the same time as the two dictators divided up between themselves Central and Eastern Europe. Now 23 August has been designated by the European Parliament as a Europe-wide Day of Remembrance for the victims of all totalitarian and authoritarian regimes. This day in 2013 a photo exhibition on ‘World Communism and Iceland’ was opened at the National Library of Iceland. The photos were selected from Hannes H. Gissurarson’s 2011 book on Icelandic Communists 1918–1998. On this occasion, Dr. Mart Nutt, an historian and a member of the Estonian parliament, and Dr. Pawel Ukielski, deputy director of the Warsaw Rising Museum, gave papers to a crowded meeting hall at the National Library. Gissurarson chaired the meeting, which was co-sponsored by the National Library of Iceland, the Institute of International Affairs at the University of Iceland and Vardberg, the Atlantic Alliance. The two visiting lecturers, Nutt and Ukielski, were both interviewed in Icelandic newspapers and on television. 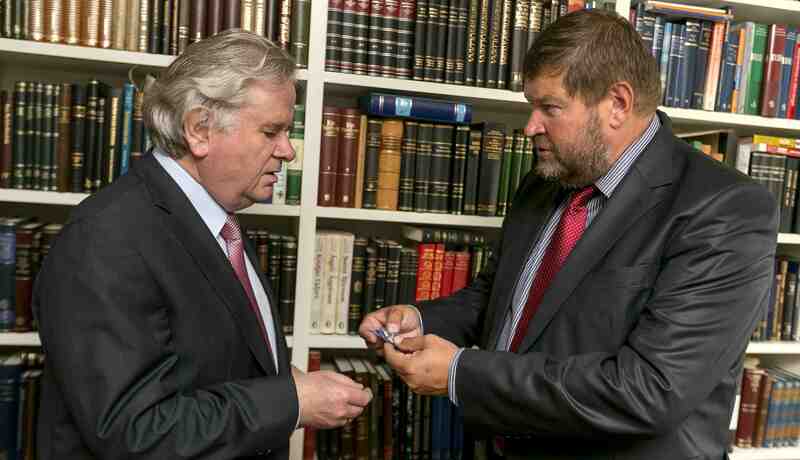 After the meeting, Dr. Nutt gave a miniature Estonian flag to David Oddsson, former Prime Minister, as precisely forty years have passed since Oddsson translated a book by Swedish-Estonian writer Andres Küng into Icelandic, Estonia. Small Nation Under Foreign Yoke (Eistland. Smathjod undir oki erlends valds). As Prime Minister in the summer of 1991, Oddsson led the Icelandic initiative to renew the recognition of Estonia as an independent state. Minister Gunnarsson and Dr. Zver. Photo: Olafur Engilbertsson. The photo exhibition at the National Library closed with a lecture on Monday 16 September 2013, the ninth event in the project. The lecture was given by historian Dr. Andreja Zver from Slovenia who spoke about the necessity to remember victims of totalitarianism. Illugi Gunnarsson, Minister of Culture and Education, chaired the meeting. On this occasion, Professor Hannes H. Gissurarson handed over to the Manuscripts Section of the National Library many interesting Comintern documents that his colleague, Professor Arnor Hannibalsson, had collected in Moscow and given to Gissurarson to analyse when his own health failed. The tenth event in the project was that Dr. Yaron Brook, director of the Ayn Rand Institute in California, spoke 1 November 2013 on the occasion of the publication of Ayn Rand’s novel, We the Living, which is based on the author’s experience of totalitarian oppression in Russia in the early years of communist rule. This marked the beginning of the cooperation between RNH and the Icelandic Book Club, AB (Almenna bokafelagid), on republishing anti-totalitarian works which had made an impact in the Icelandic battle of ideas. The eleventh event in the project was that Professor Hannes H. Gissurarson gave a presentation about it at a meeting of the Platform of European Memory and Conscience, PEMC, in the Hague 12 November 2013. On the same occasion, RNH formally became a member of the Platform. The twelfth event was the participation by Gissurarson in a PEMC conference on ‘The Legacy of Totalitarianism’ in Prague 12–13 June 2014 where the leader of the Crimean Tatars, Mustafa Dzhemilev, received a prize. The thirteenth event was the participation by Gissurarson in a PEMC seminar on ‘Justice for the Victims of Communism’ in Prague 29 July 2014. National Librarian Ingibjorg Steinunn Sverrisdottir receives the books donation from Professor Gissurarson. Photo: Olafur Engilbertsson. Professor Hannes H. Gissurarson read a paper 16 August 2014 to the 28th Congress of Nordic Historians in Joensuu in Finland on two personal dramas which touched upon each other in the Age of Totalitarianism. This was the fourteenth event in the project on “Europe of the Victims”. 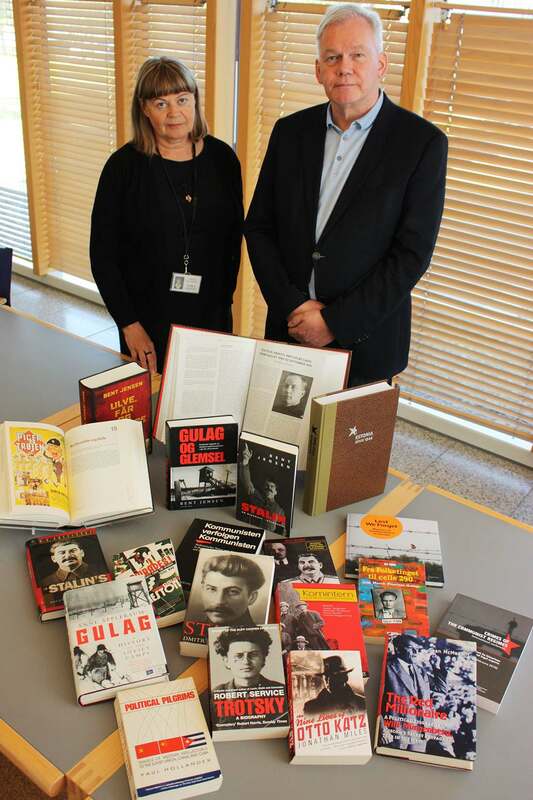 On the Europe-wide Day of Remembrance for the victims of all totalitarian and authoritarian regimes, 23 August 2014, RNH donated several books on totalitarianism to Iceland’s National Library, including the report by a commission on communist and Nazi repression in Estonia since the 1940 Soviet occupation and a two-volume history of Denmark during the Cold War by Professor Bent Jensen. At the annual meeting of the Platform of European Memory and Conscience 4–5 November 2014 in Brussels, Gissurarson gave a short talk on the joint RNH-ACRE project and the planned republication of books in Icelandic against the totalitarian threat. The seventeenth event in the project was a lecture given by Gissurarson 28 April 2015 on the Icelandic communist movement at Tartu University, followed by another lecture on the same topic 29 April 2015 at the Estonian Parliament in Tallinn. The next three events in the research project were the republication in 2015, online and in a limited number of copies, of three works against totalitarianism, translated into Icelandic in the intellectual debate, or even battle of ideas, of the past between supporters of democracy and totalitarians: Articles on Communism by Bertrand Russell; Women in Stalin’s Prison Camps by Elinor Lipper and Aino Kuusinen and Out of the Night by Jan Valtin, whose real name was Richard Krebs. The three works were all introduced by Professor Hannes H. Gissurarson and brought out by AB, the Public Book Club. The 22nd event in the project was the participation of Gissurarson in the annual meeting of the Platform of European Memory and Conscience in Wroclaw in Poland 18–19 November 2015. 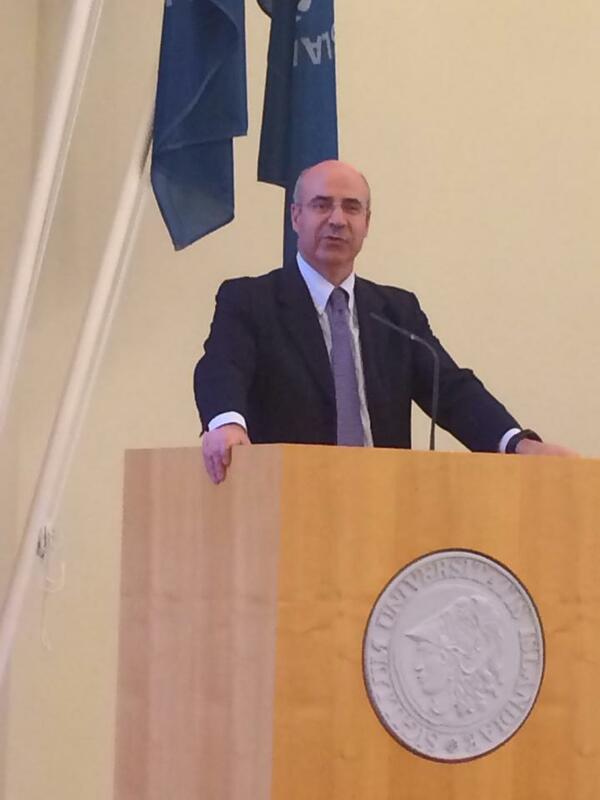 The next two events in the project were a lecture 20 November at the University of Iceland by US investor Bill Browder on “Putin’s Russia”, co-sponsored by the Institute of International Affairs at the University of Iceland, and the publication by AB of the Icelandic translation of Browder’s book, Red Notice, about abuse of power in Russia, especially the notorious Magnitsky case. The 25h event in the project was a paper in business magazine Visbending by Gissurarson on the financial support from Moscow to the Icelandic communist movement: the conclusion was that in 1955–1970 it amounted to about $3 million. 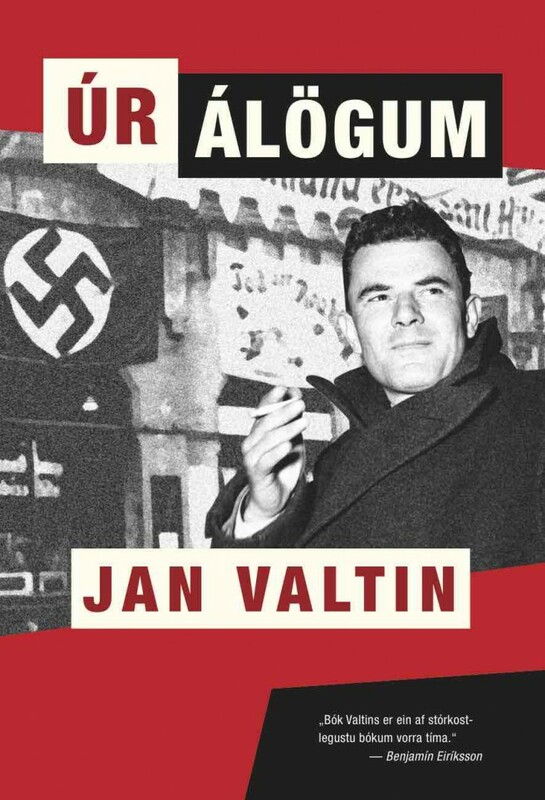 A book by Icelandic journalist Bogi Arason, The Child who Became a Despot, published by AB, was the 26th event in the project: It is about the childhood and formative years of some of the 20th Century’s worst despots, including Stalin, Hitler and Mao. In 2016, several events took place in the RNH-ACRE project. 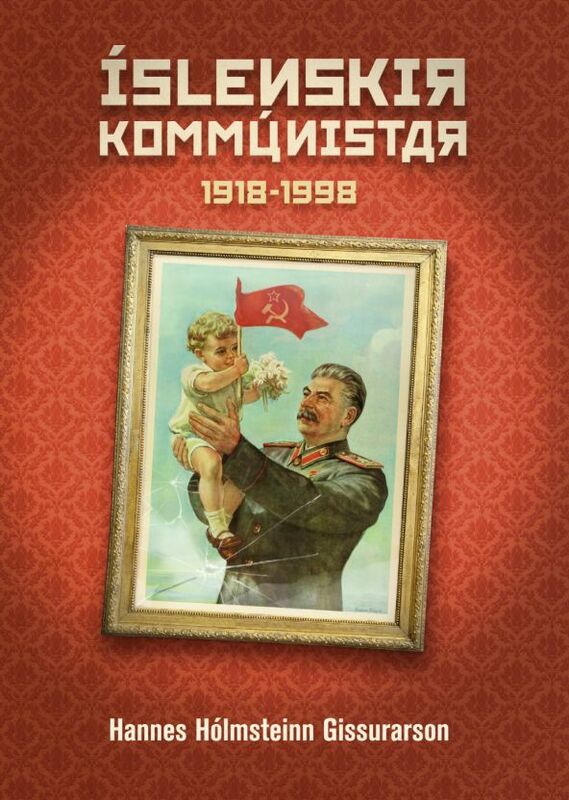 In February, the famous secret speech about Stalin’s crimes and misdeeds given by Khruschev sixty years ago was republished by AB, with, as an addendum, Lenin’s political testament which warned against Stalin. 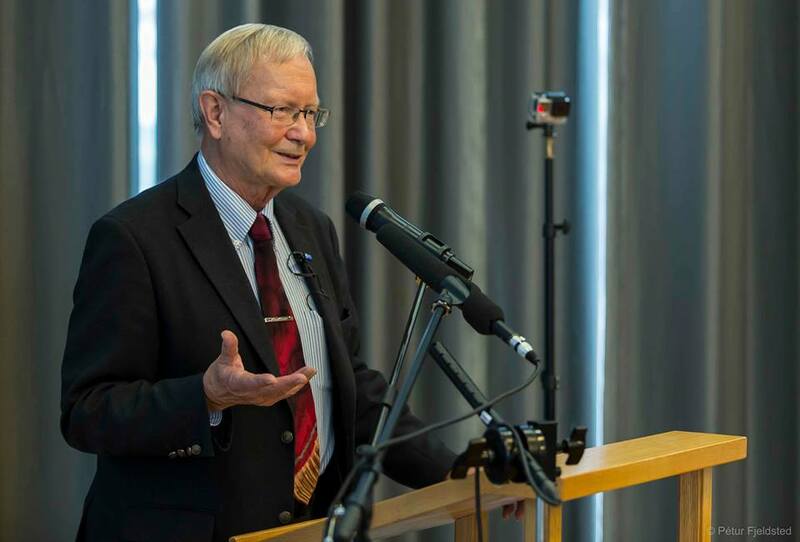 In his introduction, Professor Hannes H. Gissurarson described the great significance of those two documents in the struggle against the well-funded and well-organised Icelandic Stalinists. Gissurarson also attended a conference on totalitarianism, deportation and emigration, held by the Platform of European Memory and Conscience in Viljandi in Estonia 28–30 June 2016. He gave a paper on two German emigrants in Iceland before the War whose strange stories became intertwined in unexpected ways. The 29th event in the project was the republication by AB in July 2016, 8o years after the Spanish Civil War started, of Valentín González’ book, El campesino: Life and Death in the Soviet Union (1952). González had been a general in the Republican army and went after its defeat to the Soviet Union where he became a Gulag prisoner, miraculously escaping after an earthquake. In his introduction, Gissurarson discussed Western intellectuals and the Spanish Civil War. The three next events in the project took place on 26 August 2016 when 25 years had passed since the re-recognition by Iceland of the independence and sovereignty of the three Baltic states. AB, in cooperation with RNH, republished two books on communist oppression in the Baltic states, Baltic Eclipse by Professor Ants Oras (1955) and Estonia. A Study in Imperialism by Swedish journalist Andres Küng (1973). 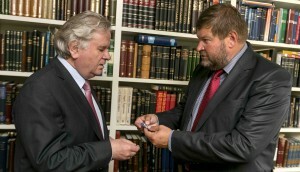 Former Prime Minister David Oddsson who as a young man translated Küng’s book and MEP Tunne Kelam, a veteran of the Estonian struggle for independence, addressed a reception on the occasion of the publication, co-sponsored by AB and the honorary consuls in Iceland of the three Baltic republics. The 33rd event in the project was that Professor Hannes H. Gissurarson attended the annual meeting of the Platform of European Memory and Conscience in Kiev in Ukraine 24–25 November 2016 and gave a talk on the many books republished in 2016 as a part of the RNH-ACRE project. 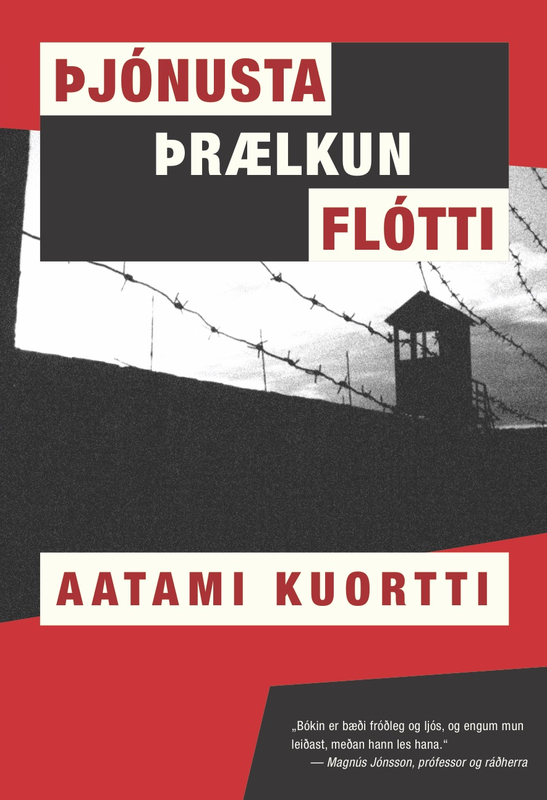 On 25 December 2016, a quarter of a century after the demise of the Soviet Union, an early account of the Gulag, by Ingrian priest Aatami Kuortti, Service, Servitude, Escape (1938) was republished by AB. In 1930, Kuortti escaped from the Gulag and settled in Finland. In his introduction, Gissurarson discussed the tragic fate of small nations that have largely disappeared, such as the Ingrians. 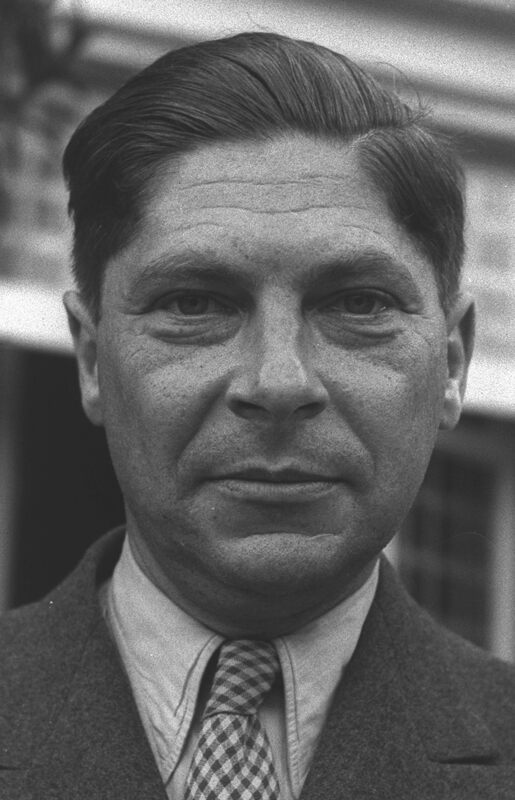 On the 100th anniversary of the Bolshevik Revolution, 7 November 2017, AB, in cooperation with RNH, republished three significant works in the struggle against communism, Soviet Myth and Reality by Hungarian-English author Arthur Koestler (1945), I Chose Freedom by Ukrainian refugee Victor Kravchenko (1950) and Nightmare of the Innocents by Norwegian fisherman Otto Larsen (1956). The books were all introduced by Professor Hannes H. Gissurarson. The 38th event in the project was that Gissurarson attended the annual meeting of the Platform of European Memory and Conscience in Vilnius in Lithuania 28–30 November 2017 and gave a talk on the works recently republished by AB. The 39th event in the project was that in late 2017 Brussels think tank New Direction published a 61 pp. report by H. Gissurarson, Voices of the Victims: Towards a Historiography of Anti-Communist Literature where he discussed the historical record of communism and some of the most important literary works about it, prison memories, novels, historical treatises and biographies. 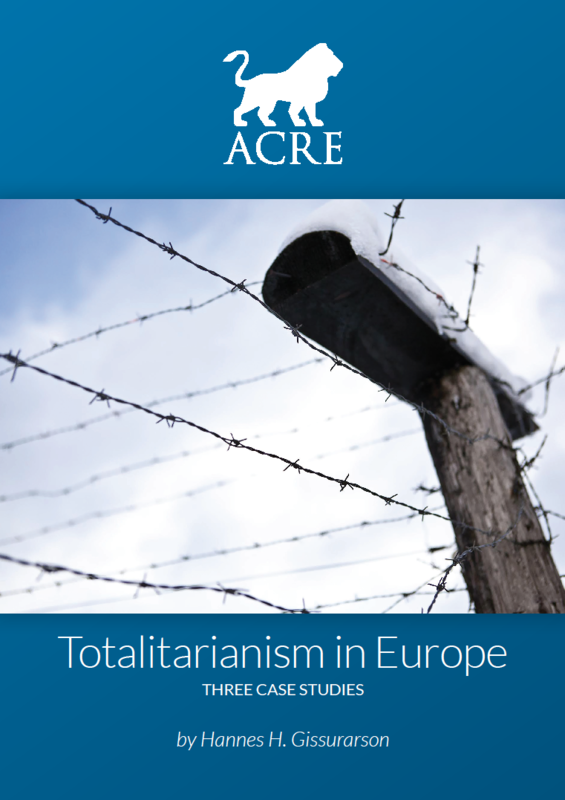 In early 2018, the 40th event in the project took place when ACRE in Brussels published a monograph by Professor Hannes H. Gissurarson, Totalitarianism in Europe: Three Case Studies. The studies were of Elinor Lipper, a once-prominent figure in the intellectual struggle against communism; of the strange fate of two German expatriates in Iceland, a Nazi who became a communist, and a Jewess who became an Icelander; and of the life and works of Halldor K. Laxness, Iceland’s only Nobel Laureate in Literature, and for a long time an ardent Stalinist. The monograph was discussed at a seminar in Reykjavik on 26 April 2018, where Gissurarson gave a summary of it and Dr. Dalibor Rohac, European Affairs Expert at the American Enterprise Institute, commented on it. The seminar was co-sponsored by AB and the Institute of Politics and Public Administration at the University of Iceland and chaired by historian Bessi Johannsdottir. The 41st event in the project was a talk given by Gissurarson at an international conference in Tallinn, Estonia, on 23 August 2018, organised by the Estonian Institute of Historical Memory. The papers delivered in the lecture series will hopefully be published, in a book or a magazine. 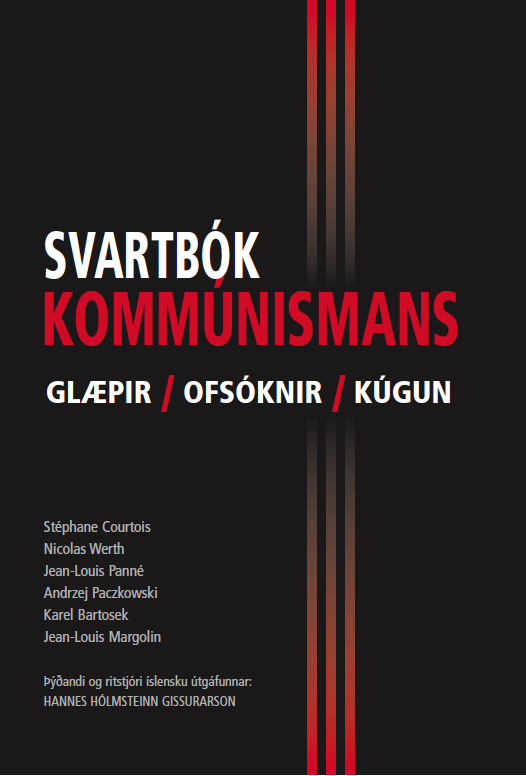 The work still continues with making The Black Book of Communism, published in a 2009 Icelandic translation, available online. The plan is to open a website with it and other online books on totalitarianism, Nazism and communism—including the aforementioned books and some forthcoming ones, such as The God That Failed by Arthur Koestler, André Gide and others, Darkness at Noon by Arthur Koestler and Under Two Dictators: Prisoner of Stalin and Hitler by Margarete Buber-Neumann.